Alicia G. Arroyo graduated in Medicine from the Universidad Complutense de Madrid in 1989, beginning her scientific training as an undergraduate student in the Centro de Investigaciones Biológicas (CIB, CSIC). After this, she specialised in immunology in the Hospital de la Princesa (Madrid), where she did her doctoral thesis on novel mechanisms for the regulation of integrin cellular adhesion receptors in human leukocytes (Universidad Autónoma de Madrid, 1994). In 1995 she moved to Dr. R.O. Hynes' laboratory (MIT, Cambridge, USA), where she analysed the in vivo function of alpha4 integrins in haematopoiesis and inflammation, in mice deficient or chimeric for these receptors. In 1999 she established her group at the Hospital Universitario de la Princesa (as a CSIC Científico Titular). Here she began her studies into the regulation of extracellular matrix metaloproteinases. She joined the CNIC as Group Leader in December 2003. Mercedes Ricote graduated in Biology from the Universidad Complutense de Madrid (1985). She began her scientific career in the Endocrinology Department at the Hospital Ramón y Cajal, Madrid, where she investigated regulatory systems involved in the pathogenesis of essential hypertension. In 1994 she obtained her PhD in Biochemistry and Molecular Biology, and afterwards moved to the Burnham Institute, San Diego, where she studied the regulation of gene expression in colon tumors. Continuing her interest in nuclear receptor signaling and cardiovascular research, in 1996 she joined Dr. C. Glass’ laboratory at the University of California, San Diego (UCSD). Her studies there focused on the role of peroxisome proliferator-activated receptor-gamma (PPAR-gamma) in the regulation of macrophage development and function. She was primarily responsible for the discovery that PPAR-gamma and its ligands inhibit macrophage activation. The Nature article reporting these findings has been cited more than 1600 times, highlighting the importance of this discovery. In 2000, Dr. Ricote was appointed as an Assistant Research Scientist in the Department of Cellular and Molecular Medicine, UCSD, where she extended her studies to explore the potential role of PPARs in innate and adaptive immunity. Mercedes joined the CNIC in 2004. Enrique Lara-Pezzi graduated in Chemistry at the Universidad Autónoma de Madrid (1995) and obtained his PhD in Biochemistry and Molecular Biology from the same University in 2000. During his PhD studies, carried out in Manuel López-Cabrera's laboratory at the Hospital Universitario de la Princesa in Madrid, he investigated the contribution of the hepatitis B virus HBx protein to the immune response and the development of hepatocellular carcinoma. After a first postdoctoral period in Dr. López-Cabrera's laboratory, during which he continued the study of the HBx protein, he moved to the laboratory of Prof. Nadia Rosenthal (European Molecular Biology Laboratory, Monterotondo, Italy) to study the contribution of the calcineurin isoform CnAß1 to skeletal muscle regeneration (2003-2006). With funding from the Marie Curie Programme, Enrique subsequently moved to Nadia Rosenthal's laboratory at the Heart Science Centre (Imperial College London), where he investigated the molecular mechanisms that mediate heart failure and cardiac regeneration (2006-2009). Enrique joined the CNIC in 2009. Dr. Jesús Vázquez graduated in Physical Chemistry at the Universidad Complutense (Madrid, 1982) and carried out his PhD in Biochemistry at the Universidad Autónoma (Madrid, 1986), both with Special Distinction. During his postdoctoral training at Merck Sharp Research Laboratories (NJ, USA) and at the Centro de Biología Molecular Severo Ochoa (Madrid), he specialized in protein chemistry and in the study of biomembranes in the context of neurochemical diseases. Since then, he has played a pioneering role in the development of protein chemistry, mass spectrometry and proteomics in Spain. Author of more than one hundred international publicatons, he is Profesor de Investigación of the CSIC and director of the Proteomics Platform of RECAVA (Spanish Cardiovascular Research Network). He joined the CNIC as a Full Professor in 2011, where he leads the Cardiovascular Proteomics laboratory and is also in charge of the Proteomics Unit. Jesus Ruiz -Cabello graduated with a Chemistry degree from the University of Granada in 1986 and earned his Ph.D. in Pharmaceutical Chemistry-Physics from Universidad Complutense de Madrid in 1990. Later, he began a two-year postdoctoral work at the National Institute of Health and Georgetown University after winning the Fulbright scholarship. His post -doctoral education also includes work at Sheba Medical Center in Israel (1998) and at Johns Hopkins in Baltimore (2005). He is a Professor of Physical Chemistry at the Complutense University of Madrid, currently in a period of leave, and he is the Head of the Advanced Image CNIC. His research in the field of Nuclear Magnetic Resonance (NMR) is on the development of methods and hyperpolarization ultrafast acquisition, implementation (including optical imaging, CT and PET) in animal models, with special concentration in lung and heart. His work includes using metabolomics NMR and mass spectrometry in biological fluids and tissues. Borja Ibáñez qualified in Medicine in 1999 from the Universidad Complutense de Madrid, and was awarded his PhD in Medicine by the Universidad Autónoma de Madrid in 2009. He successfully applied in the first call for the Cardiology residency at the Fundación Jiménez Díaz, Madrid (2000-2005), where he undertook clinical research, working principally with invasive imaging techniques for the study of atherothrombotic disease. After completing his training in clinical cardiology, he trained in basic and translational research with Professors Juan J. Badimon and Valentín Fuster at the Mount Sinai School of Medicine, New York (2005-2008). During this period he worked on the two areas of interest that form the focus of his research at the CNIC. On his return to Madrid, he joined the Department of Cardiovascular Imaging at the CNIC, and he combines his research with his clinical work at the Hospital Clínico San Carlos de Madrid in interventional cardiology and coronary care. 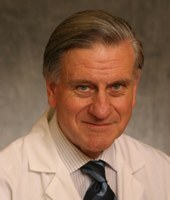 The cardiologist Valentín Fuster currently combines functions as General Director of the Centro Nacional de Investigaciones Cardiovasculares Carlos III (CNIC) in Madrid and Director of the Cardiovascular Institute and Physician-in-Chief at the Mount Sinai Medical Center, New York. The innumerable positions he has held include those of President of the American Heart Association, President of the World Heart Federation, member of the Institute of Medicine of the US National Academy of Sciences (where he chairs the committee for the prevention of the global epidemic in heart disease), member of the US National Heart, Lung and Blood Institute, and President of the Training Program of the American College of Cardiology. After qualifying in medicine at the University of Barcelona, Valentín Fuster continued his studies in the USA. He was professor in Medicine and Cardiovascular Diseases at the Mayo Medical School, Minnesota and at the Medical School of Mount Sinai Hospital, New York, and from 1991 to 1994 was full professor of Medicine at Harvard Medical School in Boston. In 1994 he was named director of the Cardiovascular Institute at Mount Sinai, a post he has combined since 2012 with that of Physician-in-Chief of the Hospital. Dr. Fuster has been named Doctor Honoris Causa by thirty-three universities and has received three of the most important awards from US National Institutes of Health. He is an author on more than 900 scientific articles in international medical journals, and has published two leading books on clinical cardiology and research.